My favorite television show to watch when growing up was Happy Days and I loved seeing all of the stylish poodle skirt outfits worn by the young girls on the show. 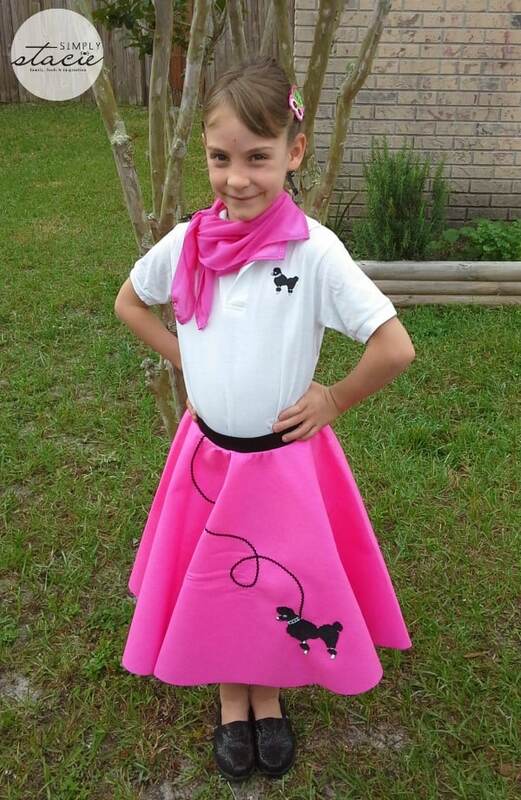 Therefore, I was excited to introduce my seven year old daughter to 1950’s style with a fashionable 3 piece 50’s Poodle Skirt Child Outfit designed just for girls from the Hip Hop 50’s Shop! The Hip Hop 50’s Shop is an online store which has a wide selection of 50’s inspired clothing such as vintage dresses, adult poodle skirts, children’s poodle skirts, petticoats, tops, shoes, accessories and more. If you like retro or vintage clothing then you are not going to want to miss out on seeing the Hip Hop 50’s Shop dress collection…..I personally love the 50’s vintage style halter dress which reminds me of the dresses in the movie, Grease. Hannah loved dressing up in her new poodle skirt outfit (SRP $34.95) which includes all three pieces i.e. a poodle skirt, poodle polo shirt and the matching scarf. There are lots of pretty colors to choose from such as hot pink, teal, yellow, purple, red, lime green, black with pink poodle and light pink. 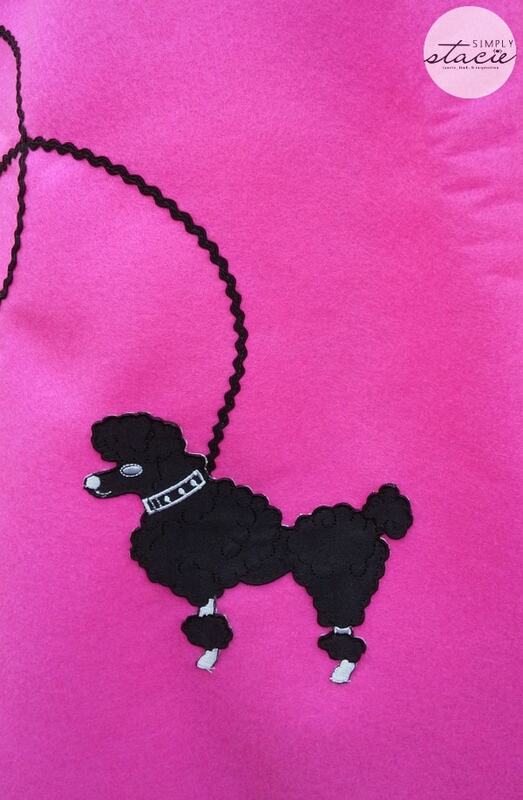 The poodle skirt is made using a very nice acrylic felt for authenticity and it has a black poodle applique. The white polo shirt makes the outfit look very fresh and crisp and also has a coordinating poodle. 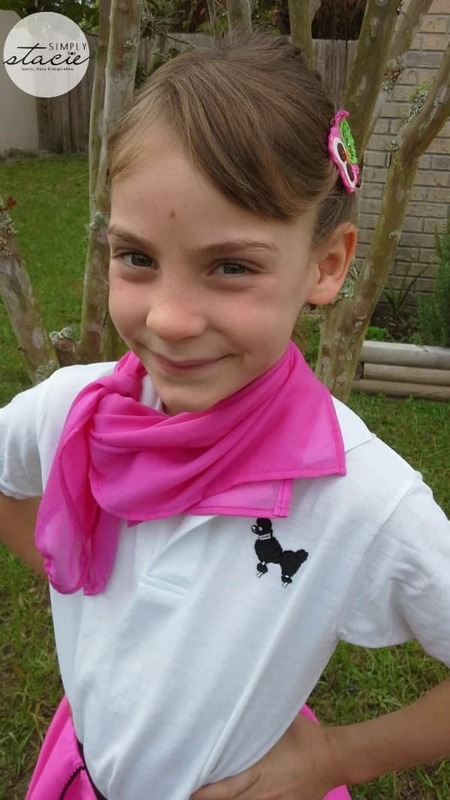 The matching scarf can be worn loosely around the neck or in the hair wrapped around a pony tail. There is a variety of sizes for children ranging from approximately 4 years to 12 years old. I found the medium (fits girls from 7-9) was a perfect fit for my seven year old daughter with plenty of room for her to grow. The outfit was a very nice quality and Hannah had a big smile on her face while dancing to the jive and 50’s rock ‘n roll music. These outfits would be perfect for themed school dances, worn as a Halloween costume, 50’s parties or just for fun when role playing at dress up. You are invited to visit the Hip Hop 50’s Shop to browse the entire selection of 50’s themed clothing and accessories. In addition to great pricing on their regular items, there is even a nice clearance section to save even more money on some great pieces. I am heading back over to check out the vintage dresses one more time. Connect with Hip Hop 50’s Shop on Facebook and Twitter. that dress is way too cute! How fun! 😀 I might have to look into that website so I can twirl a poodle skirt for once in my life! What a cute outfit and that’s a great price, too, for all 3 pieces! This is darling! 🙂 My daughter always wanted a poodle skirt growing up. I really like that this comes as an outfit and at a reasonable price. Your daughter pulls it off well. Oh my these are too cute!! I still love poodle skirts to this day. Happy Days was on of my favorites, too. I love these retro clothes reminds me of the stories my parents use to tell me and my siblings of the dances they use to go. Cute outfit! Wish they would have been around or I would have known 10 years ago. 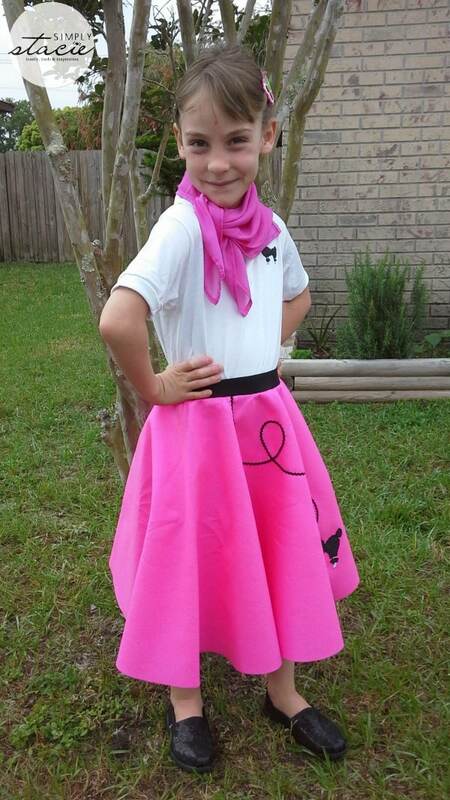 When daughter needed poodle skirt. SO CUTE!! I love poodle skirts (I wore one for Halloween when I was a little girl)! The dresses are so cute. I really like it. Thanks for this post. I loved Happy Days too! It was a nice clean family show and it was set in Milwaukee, where I grew up 🙂 My daughter would look so cute in this. She loves dress-up and posing. It would be great as a costume for Halloween. (Hip Hop 50’s Shop Review) They have some really cute things on their site, I really like this 50’s look for a Halloween costume. It’s so cute!